Following its launch into “extreme early access” after five months of development, Radical Heights developer Boss Key has announced that it is going into extreme defunct mode. 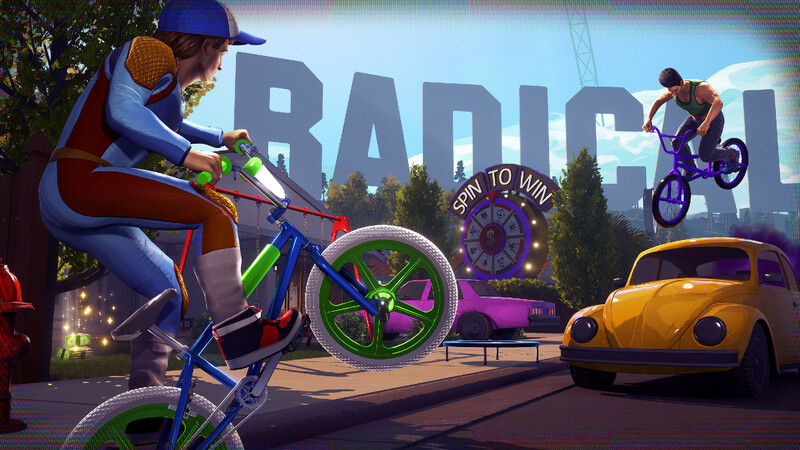 Big boss Cliff Bleszinski released an announcement on Twitter today noting that the servers for Radical Heights will remain online for the near future, however the studio itself is effectively no more. Radical Heights launched into early access and managed to pull peak numbers of less than 13,000, higher than Lawbreakers and around the same numbers as Gearbox’s Battleborn. Nothing has been confirmed for the future of Lawbreakers, and as of yet Boss Key Productions has not made any official announcement on the Steam pages for either title. 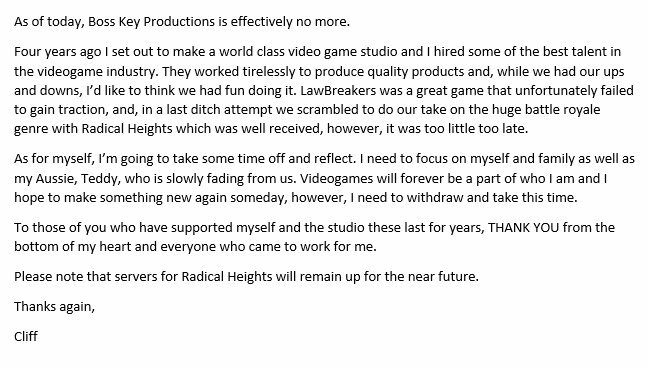 The Twitter account for Boss Key Productions has similarly made no acknowledgement of its closure.